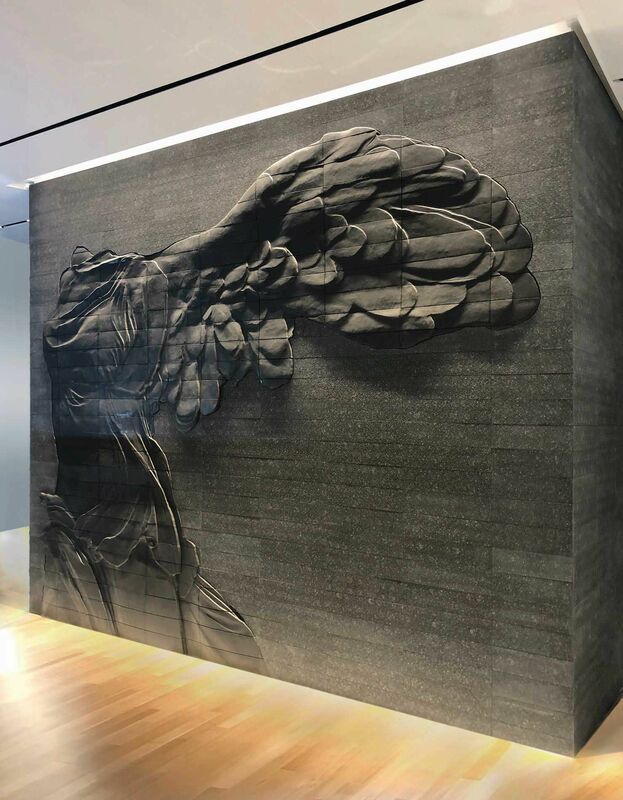 Inspired by the iconic Nike of Samothrace, Winged Goddess of Victory is a massive, bassorrilievo basalt and granite sculpture installed in the corporate offices of a sports-marketing organization. 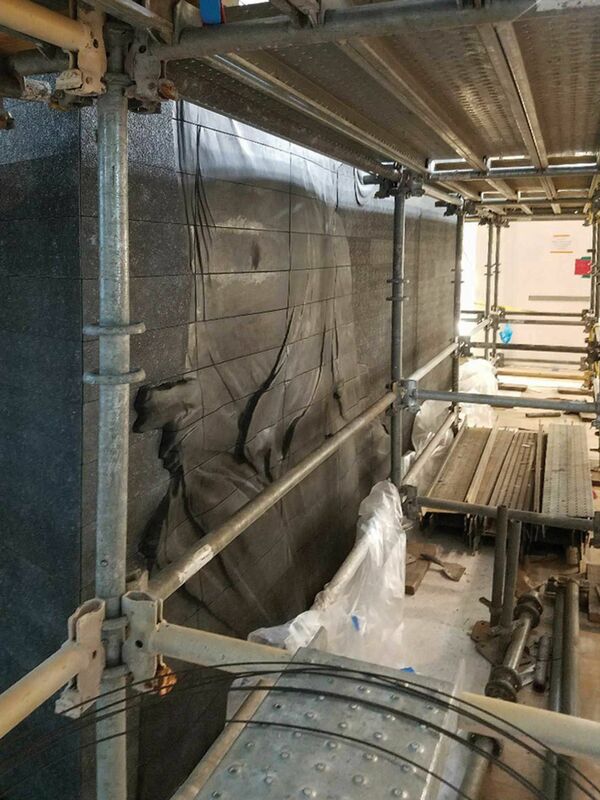 Months of discussion and testing of the originally proposed concept resulted in the development of a viable means of executing the artwork for the client who subsequently commissioned the work by the Andrusko Group. The completion of this stone sculpture was performed in roughly just four-and-a-half months by a single artisan carver. It utilized six robotic machines to rough-in the individual modules, followed by finish work requiring an arsenal of hand-held tools. 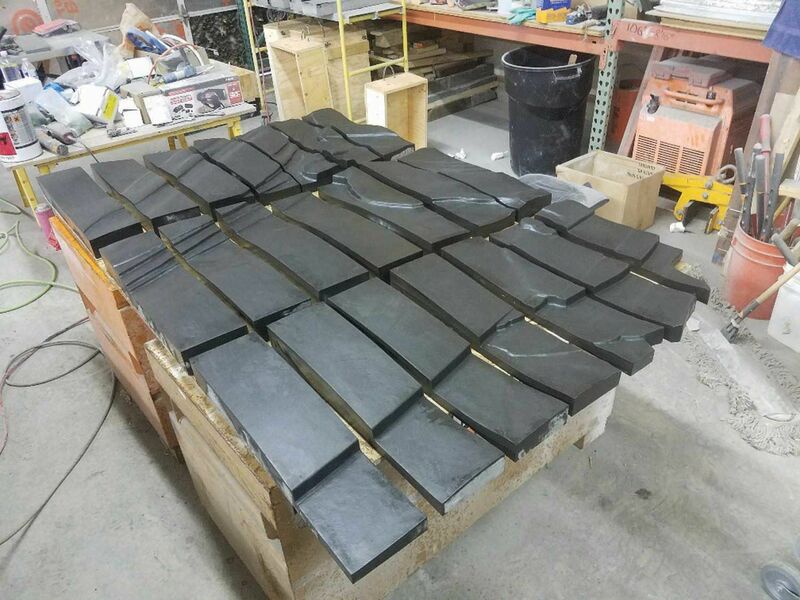 The client delivery date was so demanding that the artisan would have normally estimated a time frame three times longer than the schedule allowed. Great risks were taken both by the client and the artist to execute this artwork. Larger and more-complex than anything previously carved by the artist, the sculpture is magnificent in size at roughly 5 meters tall by 6 meters wide and is massively heavy. The scale necessitated minimizing the total mass while maximizing the relief detail that could be achieved. The detail is captured in a maximum 6cm of depth in a stone only 7cm thick. 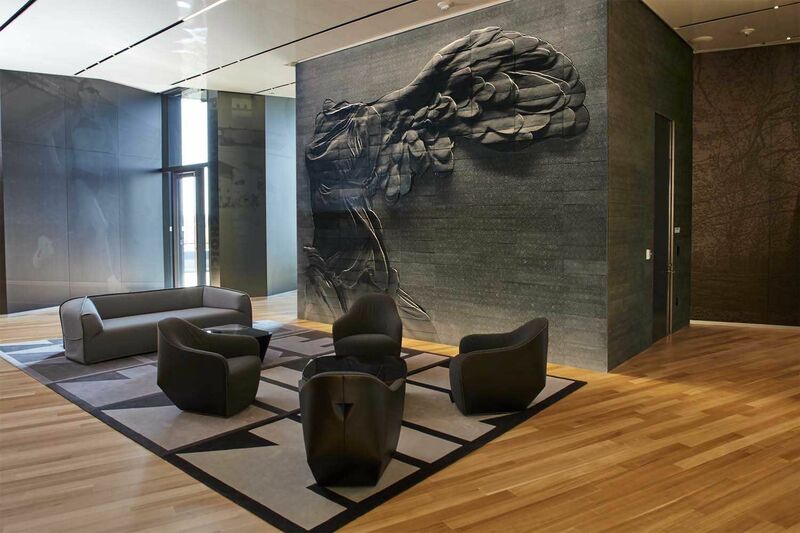 The artisan was concerned about ambient light interfering with the carving detail given the relative lack of depth, so LED lighting was deployed in the ceiling above the sculpture to help emphasize the carving detail. The hope of any artist is to somehow imbue the breath of life into the inanimate; to effect in some profound way the beholder of the work. Andrusko is pleased and satisfied with the outcome, despite knowing that this artwork is not accessible to the public.